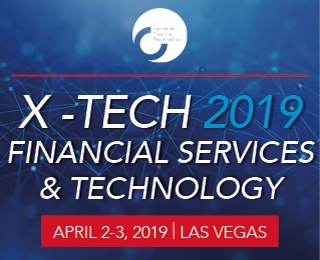 The Center for Financial Professionals (CeFPro) are proud to present the highly anticipated X-Tech 2019 Convention taking place in Las Vegas, April 2-3. Join 500+ industry experts at this leading 2019 financial services and technology Convention in North America. Financial services are changing rapidly, technology is moving faster than ever before and looking to change the face of banking as we know it. Consumers seek a more digital, yet secure, banking experience. With business models and product offerings advancing so quickly, how do traditional banks keep up? Many are turning to FinTech companies to utilize their services. It is as a result of this rapid change and innovation across the industry that we are bringing together practitioners, FinTech companies, regulators, investors, venture capitalists and academics to not only provide insight on the technology available, but real-life use cases and how these advances can be implemented internally. The Convention is an excellent educational and networking opportunity to discover the future of financial services and the advances in innovative technology. The two-day financial services and technology Convention will feature multiple streams, presentations, panel discussions, demo speed dating, debate forums and much more. Visit www.cefpro.com/xtech or call us on +1 888 677 7007. Group rates available.